Hyundai Grand i10 is a successful car from Hyundai, the South-Korean car maker. The model is a successor of its previous i10 model which was also a very decent and comfortable under technology mixed with all combinations to provide best of driving experience. The Hyundai Grand i10 has given more of its value and has successfully maintained her image at par with every feature one would count. Hyundai Grand i10 can be dedicated a grand car by its appearance, as with the first look, it is quite similar to the bigger version i20. All the glaring color, stylish curves, and dimensions along with bigger headlamps create a bigger impression. All the corners are well designed to make the best finish. Front bumpers are made wide followed by a black front grille which equally justify the design. 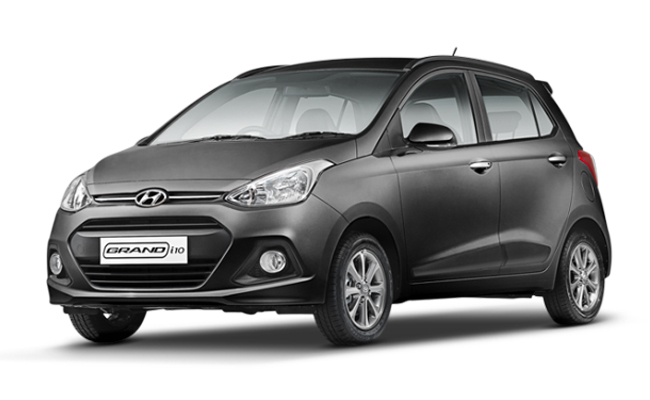 Fog lamps are round and decent with headlamps being large adding to the name of Grand i10. Hyundai Mark has got its place in the center with a chrome line all the way from both ends. Bonnet has now a sharp view from the front towards the windshield. Watching over the side panels, the black strips which are added on both front and rear doors are mesmerizing. 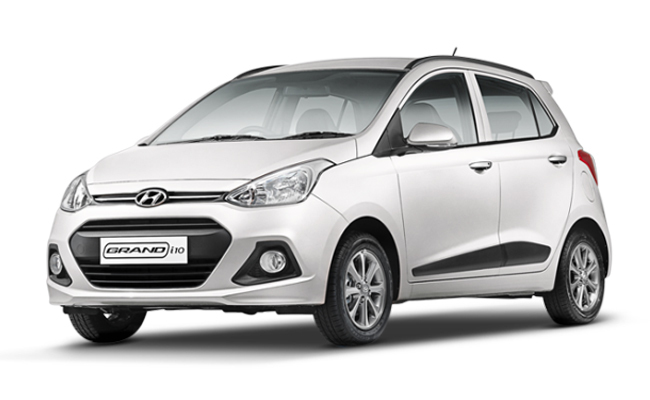 Chrome handlebars, sharp aerodynamics, neat tail lamp, reflector subsumed bumpers, and the badging of Grand i10 and variant name overall makes it captivating. 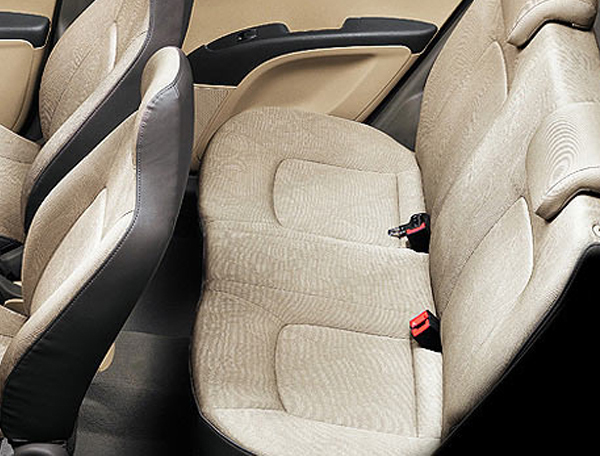 The interiors are really appreciable of Grand i10 as it is very spacious and gives the premium feel. The dashboard welcomes with a very large display along with infotainment system and control knobs nicely fitted below making an overall pleasing appearance. All the controlling part including steering wheel and instrument panel, gear knobs everything is made premium with wide dimensions to make the naming equally suitable. The Grand i10 is a smooth riding machine with advanced features integrated within its powertrain. Under the bonnet, one will get two options of the engine. The petrol version is 1.2 liter Kappa engine whereas the diesel version is a new 1.1 liter three cylinder engine which churns out 70bhp of power and a 160Nm of torque. The five-speed manual gearbox is mated very well tuned. 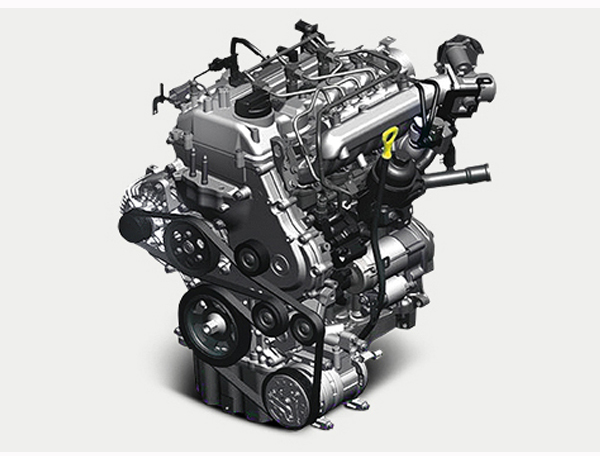 The Grand i10 is properly fitted to Indian conditions and engine response. 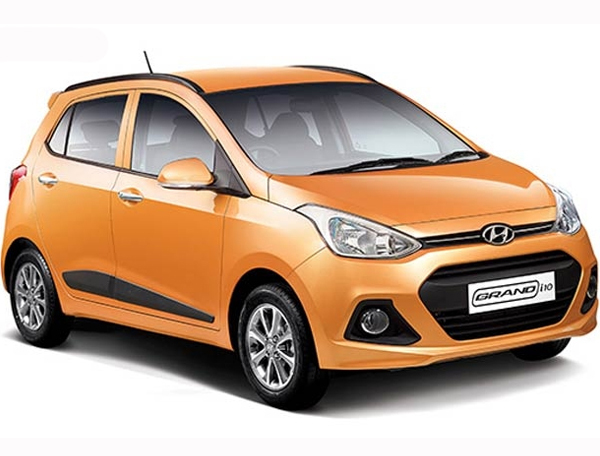 The Hyundai Grand i10 comes up with an easy and soft overall set up, and from the same conclusion, the riding quality is affected in a positive sense. The comparison is dutiful as it is designed to meet the hardships of Indian roads. The ride quality is more comforting and OK than its previous sibling i10. Even after trying and testing the car on typical Indian road, it showed great response each and every time. Soft and easy gear shifts with equally responsive electronic steering will make a pleasurable drive in city conditions. Everything from clutch to braking is a smooth finish as the nice gelling of the clutch with gear shifting and powerful disc brakes in front and drum at rear also makes the riding quality much more secure and confident. Hyundai Grand i10 has a bunch of variants to offer. Coming on the Base model Era which is the starting series of the variant. The Era variant comes in both petrol and diesel version. Some of the basic features in Era enlisted are Immobilizer, Airbags, Blue interior illumination, Engine running time display in MID, Power steering. Coming to the Magna Variant of Grand i10, it is equipped with the Central locking, Front fog lamps, Keyless entry, All the Multi-information display, Power windows. Now coming to the high end variant, Asta which is the top variant and gives a premium touch to the Grand i10 in all spots: Rear defogger, Airbags, ABS, Rear Spoiler, Leather wrapped Electronic steering wheel, Infotainment system, Steering mounted control systems, Rear AC Vents, Push Start/Stop button, Tilt Steering, Adjustable Seat headrest and much more. 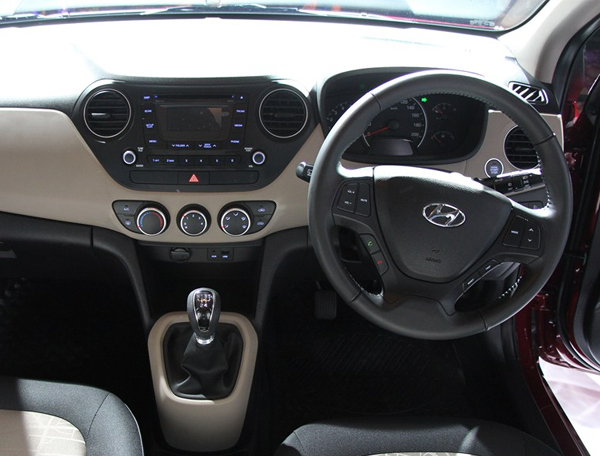 The Grand i10 really impresses by the specs which it has to provide in this segment, as it will not disappoint anyone with the comfort part as the seats are nice and with the roomy cabin. Also managing a good engine performance with stylish looks and plastic quality has a par excellence. At last, one should always see through the budget and here also the Grand i10 gives a relax to the customer with its decent price range and premium feel and touch.